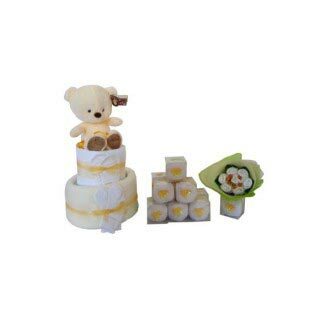 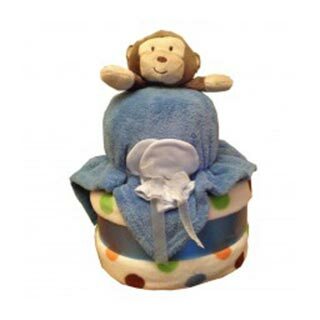 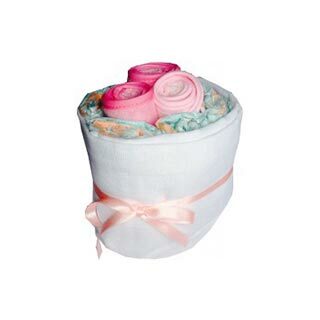 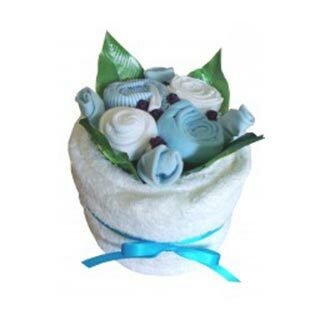 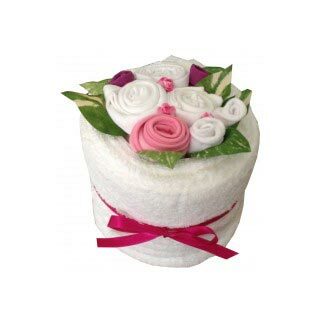 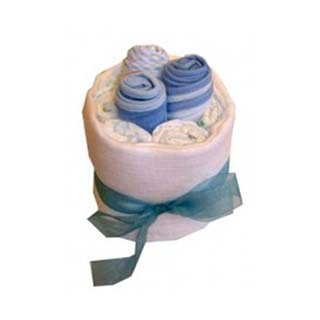 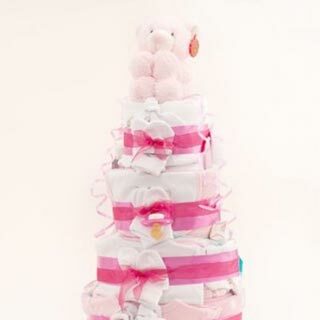 The 2 Tier Boys Nappy Cake is a pretty, yet practical baby gift for any new parent to receive. 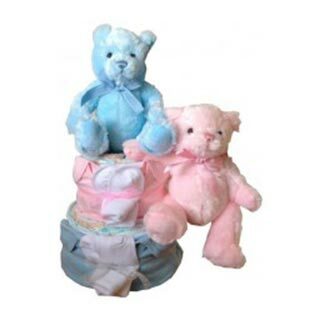 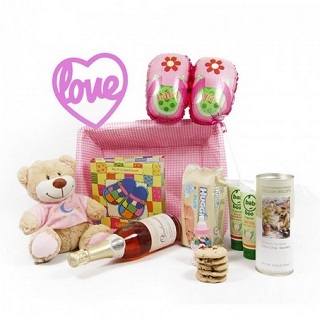 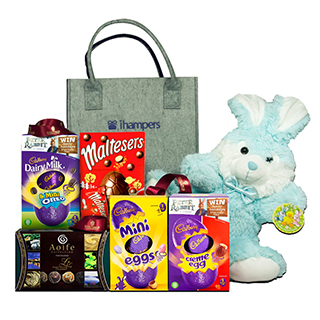 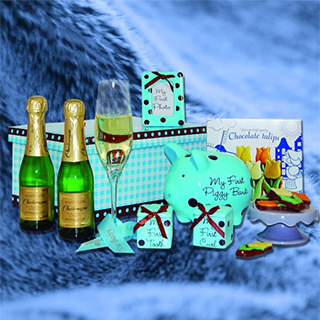 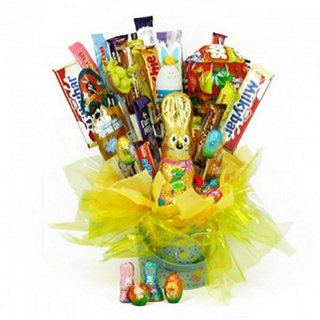 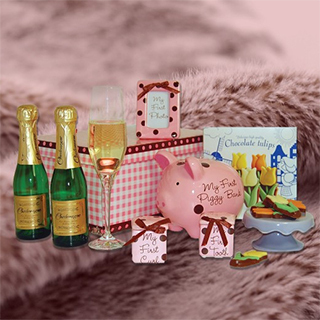 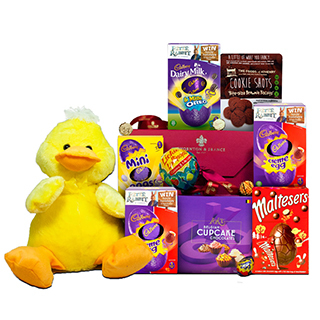 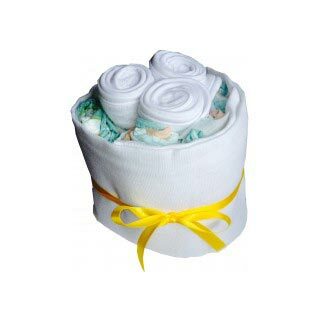 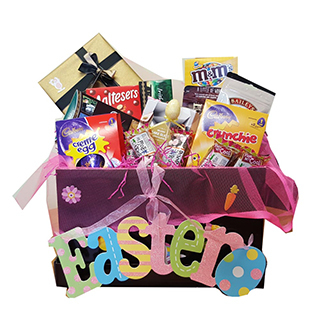 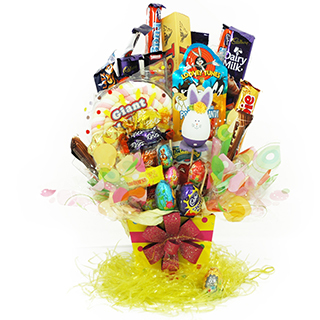 It packed with items such as Nappies (size 3), Soft Cotton Baby Receiving Blankets, Soft Baby bibs and other useful baby items. 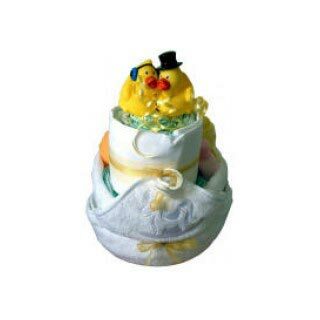 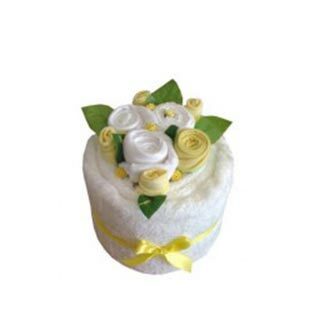 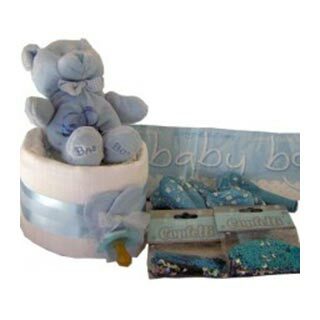 Our 2 Tier Boys Nappy Cake is beautifully presented with Stylish Cellophane Wrap with Ribbon.